Sgt.Matherson, Cpl. Morley, M Bower, J Mills, J Clark, Bob Yaxley, Butch. 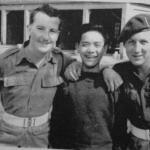 Commando Veterans Archive Photos Recent Updates Sgt.Matherson, Cpl. Morley, M Bower, J Mills, J Clark, Bob Yaxley, Butch. Photo from the collection of Mne. 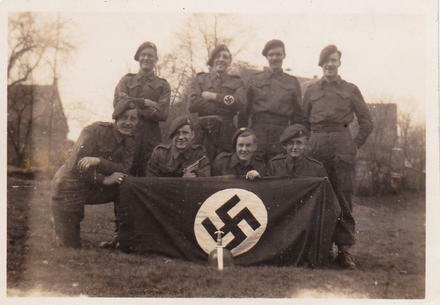 Bob Yaxley 45RM Cdo 'E' Troop courtesy of his son Clive who adds "This was at Erle 6 miles from Wesel Germany 27th March 1945."